Making plans to go scuba diving the Gili Islands in Indonesia? In this article we explain why you should include Gili Trawangan, Gili Meno, and Gili Air in your Indonesia scuba trip. There are many prime dive destinations in the world. Some of them are more known then others. We created a list with 5 destinations we would like to dive before we die. scuba diving Koh Lipe in Thailand is for the adventurous scuba diver. The small Island lies on the border of Thailand and Malaisia and offers world class scuba dives. Scuba divers know that Sabah is the perfect place to explore if they wish to find the best variety of marine specie in the world. Take a peek of what to expect at some of the most spectacular diving spots visited in Sabah and enjoy your diving experience in its midst. The Seychelles are said to be one of the top 10 diving destinations in the world and offer a true year round diving opportunity with excellent visibility. The Islands contain many opportunities to take perfect photos and to record a memorable travel video. 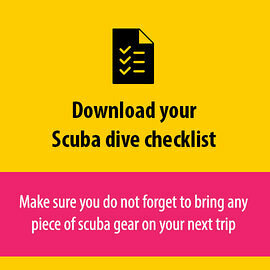 Are you looking for a dive spot in South East Asia? We zoom in on some not so obvious scuba dive locations in Asia.